Viknesh Vijayenthiran February 4, 2019 Comment Now! 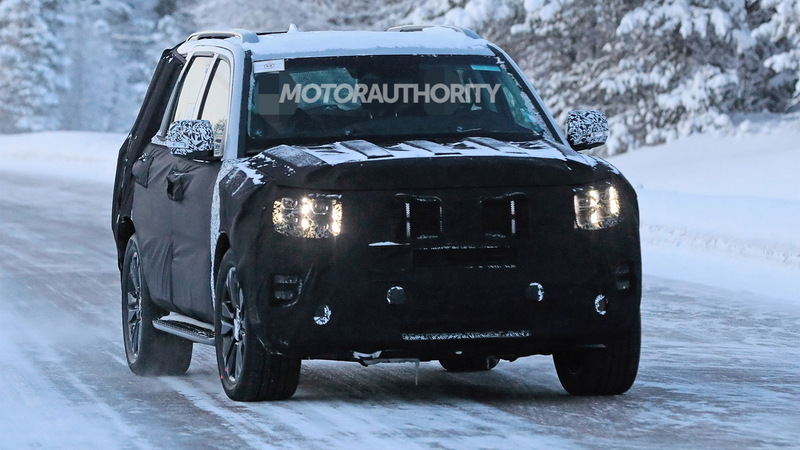 Kia is working on a new SUV, and this one could be a rugged off-roader coming to take on the soon-to-be-revived Ford Bronco and the Jeep Wrangler stalwart. 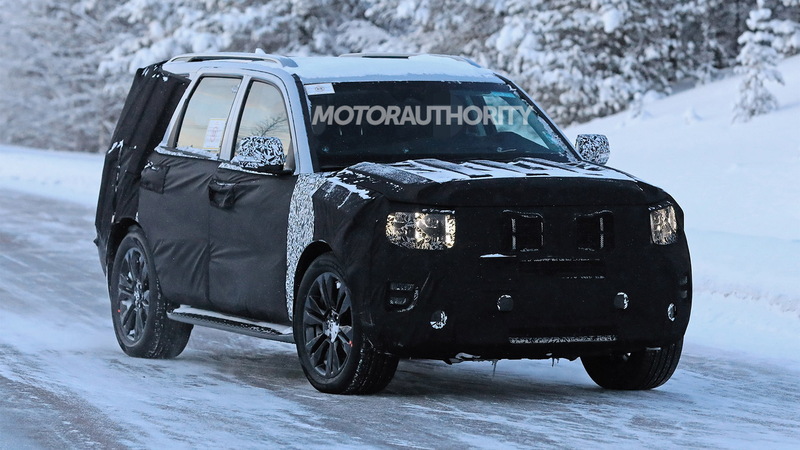 The Korean firm has just launched the Telluride in the full-size crossover SUV segment, but our latest spy shots show engineers testing a mid-size model that bears a design clearly cribbed from the Telluride. It's possible we're looking at an early tester for a redesigned Kia Mohave, a vehicle that was briefly sold here as the Kia Borrego late last decade. 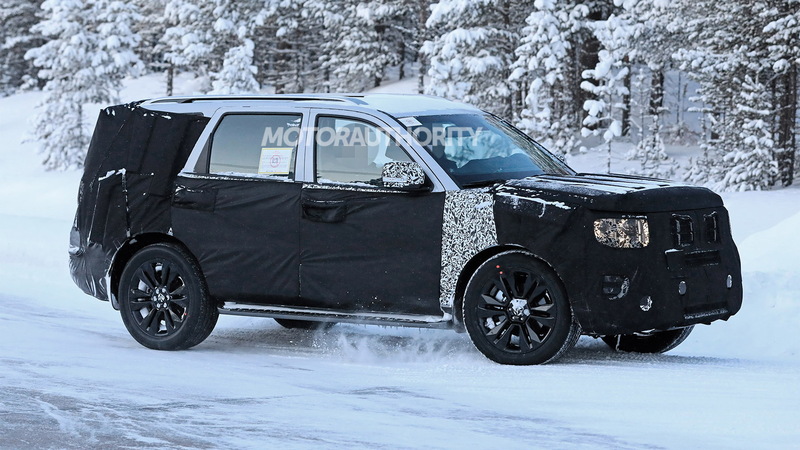 If the new SUV reaches the United States, we'll likely see it arrive as a 2021 model. It's possible the vehicle ends up here as the replacement for the Sorento, the current generation of which was introduced for 2016. The six-lug wheel design suggests more ruggedness and off-road capability than your typical Kia, something which could set this SUV apart from the family-oriented Telluride. There are also chunky fog lights and fixed running boards, which once again suggest a vehicle for active lifestyles. 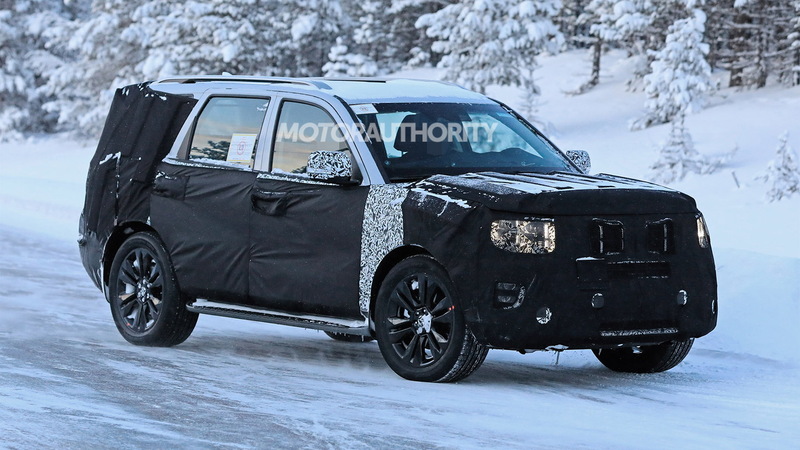 What isn't clear is whether there's a truck-like body-on-frame platform underneath or a more civil unibody design like that found in the Telluride. 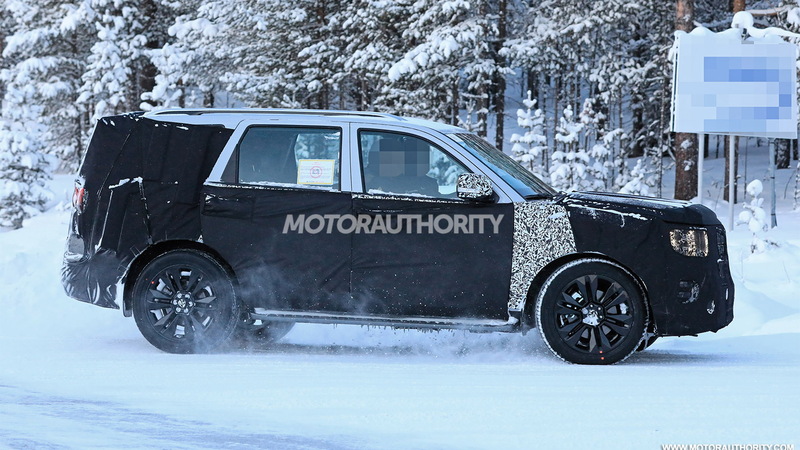 We should note that there were reports last August that Hyundai was looking to launch a Nissan Armada and Toyota Land Cruiser rival, and if those reports are accurate it's likely any Hyundai off-roader will be twinned with this new Kia SUV. Hyundai dabbled in the segment early last decade with the Terracan, though production only lasted the one generation. Stay tuned for updates as development continues.